Okay, This post is also on the @okadabooks page on Instagram. Oh Look! It’s Another OKADA BOOKS Contest. 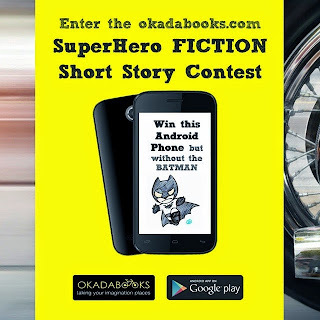 You have until May 31st to submit a short fictional story on okadabooks.com about a Super Hero with Super Powers doing Super Things in a well Super Way. They want your story to blow them away but not so much … just enough to make them laugh and even cry. – Story may not be longer than 1,117 words. – Keep it PG-13. No R-rated romance or dirty language, We want people to like your Super Hero. – Also ensure the book price is set to 0.00. – A book with 100 downloads and a rating of 4.5 stars will score 450, while a book with just 30 downloads and a rating of 2 will be scored 60 points. – Book downloads will reset to zero on May 31st so everybody has the same time frame to amass downloads. – However reviews/ratings will remain untouched. – The finalists will be judged by our very own Okadabooks Mechanical Judges. And we would give extra points for original book cover designs and original Super Powers. – And before we forget … your story title must contain the hashtag #SuperHero so we can find it in our back-end. 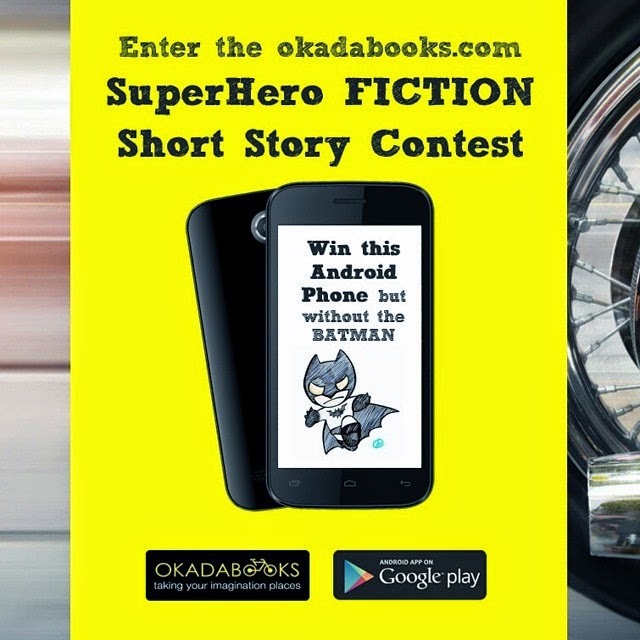 – The 10 finalists all get N10,000 in okadabooks credit. – Winners will be announced last week of June.